HVAC plan design guide provides you many useful advice for you to make HVAC plans. 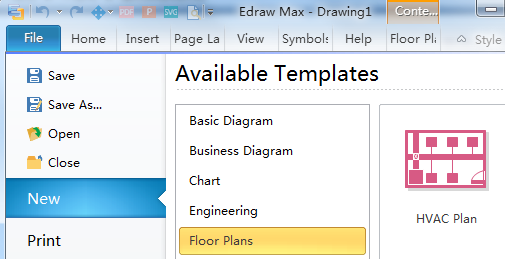 Drawing HVAC plans has never been easier. Heating, Ventilation, and Air-Conditioning (HVAC) plan design shall vary with, and adapt to, the configurations of the facilities. HVAC plan design guide will offer your useful suggestions for HVAC plan drawing. To better understand HVAC plan design guide, you are supposed to know the purpose of the HVAC plan design guide. As you can see that this HVAC plan design guide helps you make detailed HVAC design for others to follow. Therefore, house designers can better incorporate the HVAC system into their house designs by provides design guidance on how to improve the installed performance of small packaged rooftop HVAC systems in buildings. 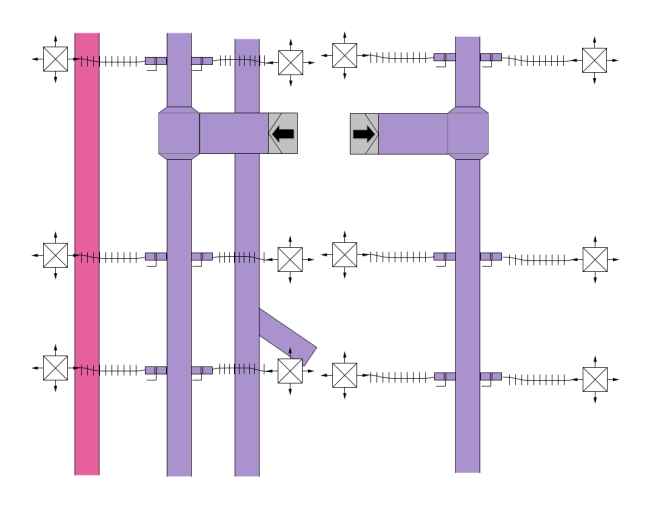 The picture below is a HVAC plan example drawn via HVAC maker. 1. To be a useful tool for the planning and implementation of a good residential HVAC design process and to assist during that process. 2. To encourage coordination between key players such as the architect, builder, structural engineer, framer, HVAC designer, HVAC installer, energy consultant, electrical designer, and plumber to minimize conflicts during the installation of a properly designed system. 3. To help identify how all of the designers, consultants, and trades people are impacted by the process and how they need to communicate in order to further minimize conflicts. 4. To explain and simplify current HVAC design methodologies so that they are more applicable to California production homes, more useful, and more widely used. 5. To address topics not well covered by existing HVAC design methodologies and provide guidance on issues that have been of particular concern in production homes. When looking the HVAC plans templates, most people used to think it too difficult to draw HVAC plans themelves, so they only hire professionals to draw HVAC plans. However, the fact is that making HVAC plans yourself can be pretty easy if you have chosen HVAC plan software. 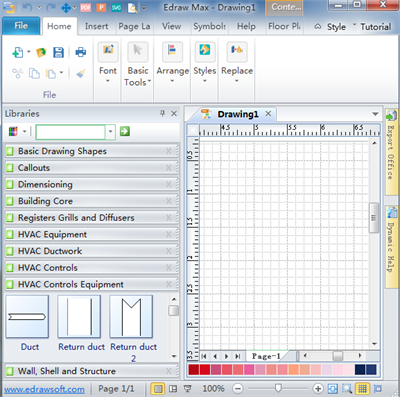 From "Templates", double click the "HVAC Plan" to start the drawing page. On the left of the canvas, in the library many standard HVAC symbols are available to use, which shall greatly facilitate your drawing of HVAC plans. When using HVAC ductwork symbols, pay attention to their floatng button from which you can customize their settings. Just drag and drop the HVAC shape you need and adjust their position according to your own needs, then you will find that drawing HVAC plans has never been easier.